Like Bioplast, silicone is a lightweight, flexible and highly biocompatible material. 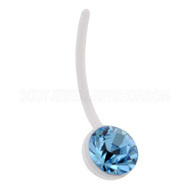 Its flexibility makes it ideal for stretching jewellery – you can just fold your flesh tunnel or plug in half to insert it into your stretching, no wrestling with too-big plugs or flared tunnels. 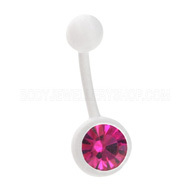 Kaos is the premier brand for silicone body jewellery and I recommend any of their items. 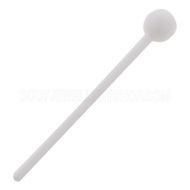 These pieces of white body jewellery are so comfortable to wear and they are great for your piercings.